Home » Blog » Uncategorized » Video Blog » Are you leaving money on the table? Okay I’m going to let you in a a secret! For more than 10 years I’ve been speaking and leaving money on the table! My introduction to speaking went something like this. I wrote a book, asked someone to write the foreword. They agreed to write the foreword if I would speak at their national convention. I showed up with 500 books only to find more than 5,000 participants. Welcome to the world of speaking. I upgraded my process each time I learned something new. Once I got my name out there, I set my “speaking fee”, add speaker to my business card, and speaking engagement to a line item on my profit and loss statement. 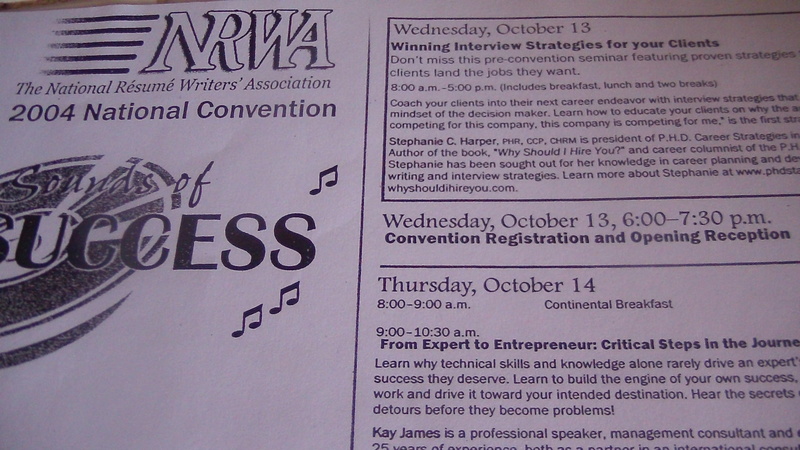 I’ve presented for organizations such as Society of Human Resources Management (SHRM), Atlanta Human Resources Association, (AHRA), National Association of Resume Writers (NARW), Department of Labor, United Way, Goodwill, and even the Federal Aviation Administration. There is someone reading this blog saying, “Wow, that’s Impressive!” or “What’s Your Fee?” Starting out I had people tell me, if you can get there within an hour, go for the exposure! And I did – – in the beginning. But I didn’t know the difference between community service, marketing speeches or paid professional speeches or how to use them all to my benefit. I was satisfied with the results from my “speaking stream of revenue”, because it was not my primary business – – until I met Caterina Rando. Below is a CAREER CONVERSATIONS™ Episode from 4.29.2013, where we spoke with Caterina Rando on the Topic of “Creating Streams of Revenue Through Speaking with Caterina Rando. Listen and learn! 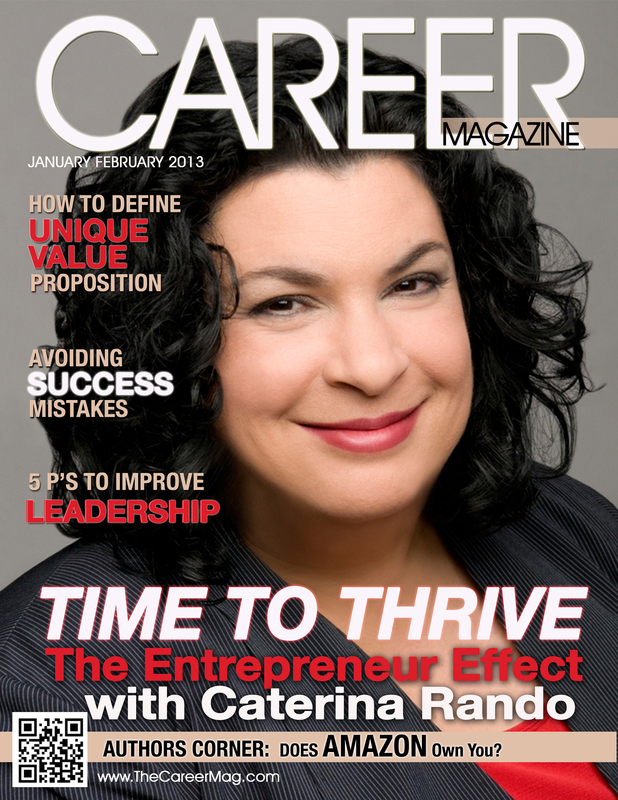 If you missed the January/February 2013 Issue featuring Caterina Rando, you can get it today! If you have not yet subscribed to CAREER Magazine, visit our home page to do so! 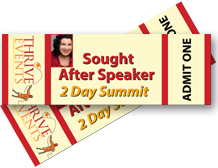 BONUS: If you are in the Los Angeles, San Francisco or Dallas area and would like be my VIP for one of Caterina’s Thriving Speaker or Thriving Business Summits (Value $994). Please use the contact form below to tell me why you need this awesome opportunity. I will give away one VIP pass for each location and provide a discount code for those who are interested in attending! Previous: What Do I Know About Publishing?